While day one of CCP's Fanfest was focused on Dust 514, day two is all about EVE Online, and the schedule is jam packed with panels. 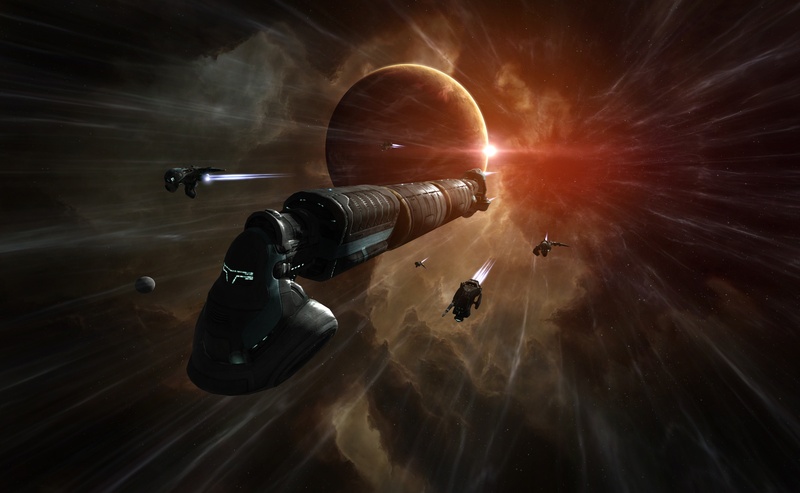 The day's sessions all culminated with the EVE Online keynote speech, where the developers openly discussed the previous year of EVE and what to expect in 2012. The keynote began with CCP CEO Hilmir Petursson talking about the past of EVE Online and what went wrong in 2011. For those unfamiliar, last year CCP released their Incarna expansion and it was not well received, to say the least. He openly talked about how he felt the company had rushed to come out with this future vision of the game, and they had failed to address the core gameplay. They had become too liberal with their core business. Petursson promised, however, to return to a focus on what made the game great in the first place and put the fans above all. "Internet spaceships are serious business" was a central theme throughout the event. Afterwards, Jon Lander, EVE's new senior producer, took the stage to speak on the present and future direction for the game. 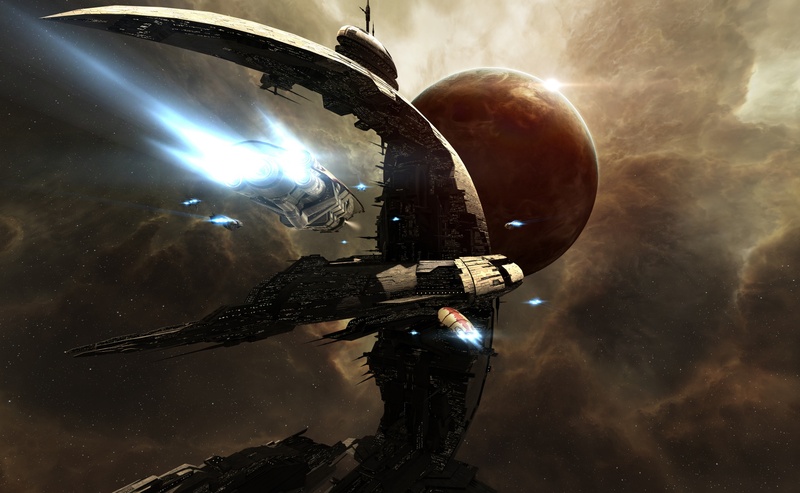 The goals for 2012 for EVE Online were to stop trying to inject the end-all-be-all feature into the game and simply concentrate on the core spaceship game. These "Jesus Features" - as Lander called them - caused the developers to lose sight of keeping the game fun for the fans. These new goals didn't sound like empty promises, the speaker backed up their points by fully explaining how this strategy was going to invade nearly every function of how the game was produced. They planned to iterate upon existing game mechanics, making sure they were balanced and supported before moving on to new ones. The developers plan to fix the game engine so it's easier for them to work with; after nine years there is much that could be improved. 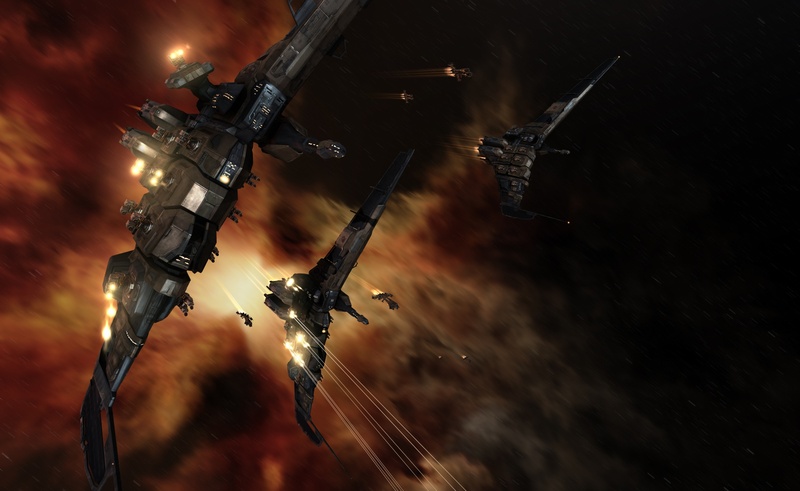 And CCP executives plan to restructure the development teams' makeup to better facilitate the focus on the fans and the core gameplay. This would include a new team whose only focus would be on gameplay - "No distractions, just spaceships". 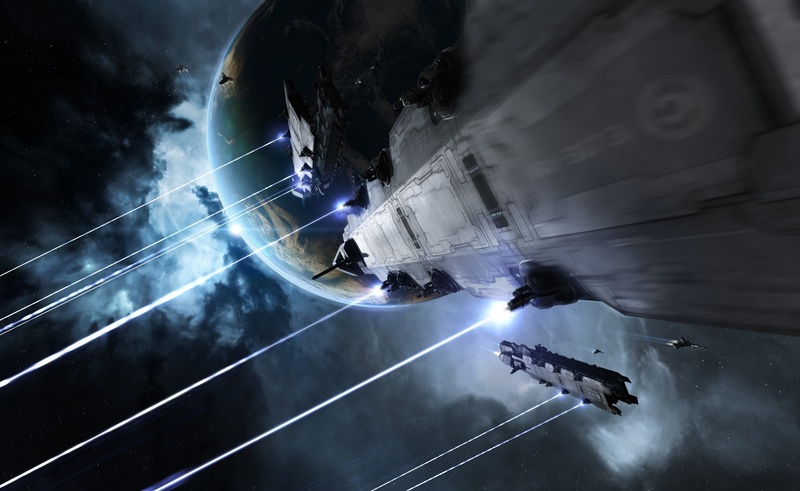 That's not to say the EVE Online team would never develop something new and exciting, but these features would be an worked on in addition to improvements to the core game. This new sentiment had already begun to bear fruit in CCP's last EVE expansion. Crucible was packed with new ships, graphical improvements, the new time dilation system and a host of other smaller fixes. 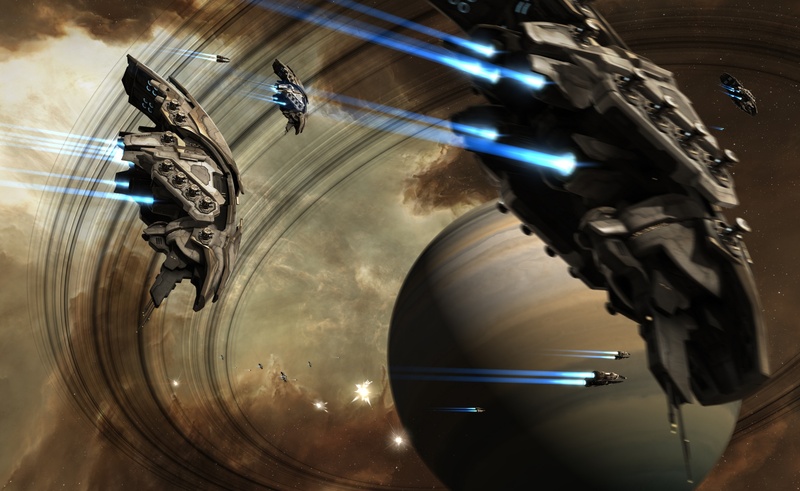 Inclusion of player favorite features like fan-designed ships and the much needed time dilation system to combat lag in massive fleet fights was just the kick in the pants that EVE needed. The game has always enjoyed year-after-year subscription growth - a unique situation in MMOs - but the Crucible expansion saw a noticeable spike in activity. Players hesitated to accept time dilation, but they soon embraced the interesting mechanic. The idea is to essentially fight lag with lag, though - more precisely - time dilation gradually slows time in the area as the number of fleets peak into the thousands. 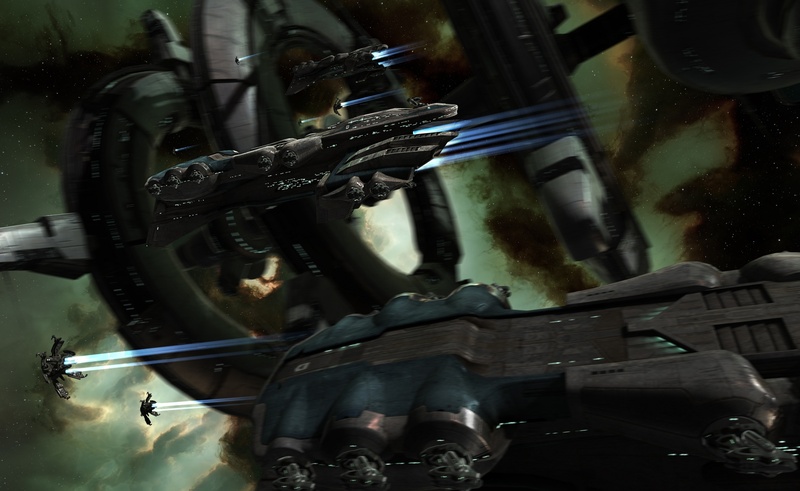 The keynote speech dramatically showed the results of using time dilation by displaying the data from two fleets both roughly 2,000 players strong meeting in battle. Without the time-dilation, hundreds of thousands of updates would result in seconds of lags and sometimes button presses would never register with the server at all. With time dilation implemented, almost no commands were backing up and players could fight it out smoothly. The team discussed several new features for expansion this year such as redesigns of the war declaration system, removing much of the loop holes associated with it. 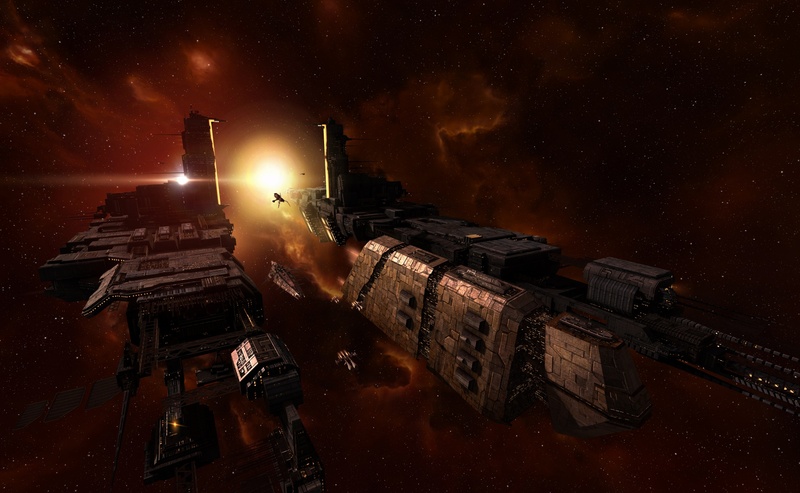 Other improvements included making factional warfare more meaningful, taking a holistic view to ship balancing, a new unified inventory and a big batch of new modules. 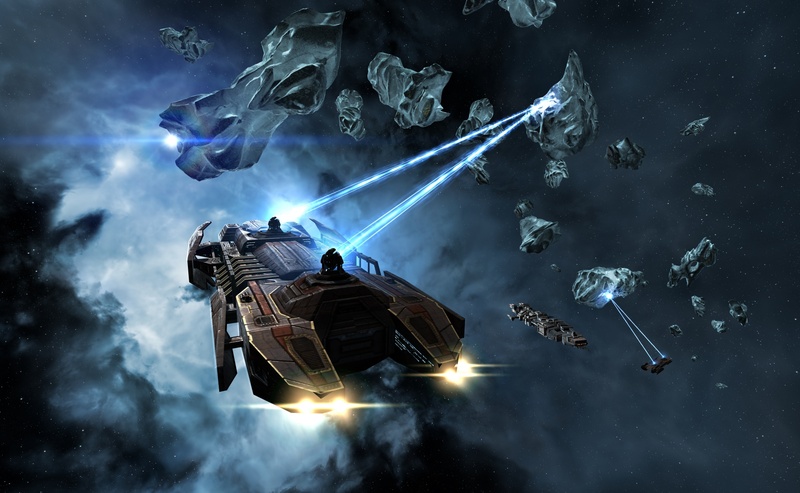 Many of the developers were excited by the prospect of new modules breaking up the one or two cookie-cutter builds that normally dominate a specific ship. There are also plans to create dedicated mercenary marketplace, where players can take out contracts with other players to either defend their holdings or attack their foes. Though in true EVE fashion, there is no real game mechanic to enforce them to adhere to their contracts. In my talks with the developers, one of the strongest sentiments I heard over and over again was the desire to never design away trust from EVE. In a meta-game aspect, trust is one of the rarest commodities in the galaxy, and there is no way to simply grind it back up mechanically. Looking even further forward, the developers mentioned plans to make POS (player-owned starbases) accessible to a wider range of players, rolling out new ships once or twice a year, and a revamp of the UI. All this will come with a slow rollout of Dust 514 in close collaboration with players as well as a planet ring mining mechanic that promised to emphasize group collaboration and the possibility of gathering extremely valuable moon minerals from a new source. When the speakers announced a redesign of the stealth bomber class instead of reusing tier-one frigate assets and a new treatment for missiles and missile launchers, the audience applauded. 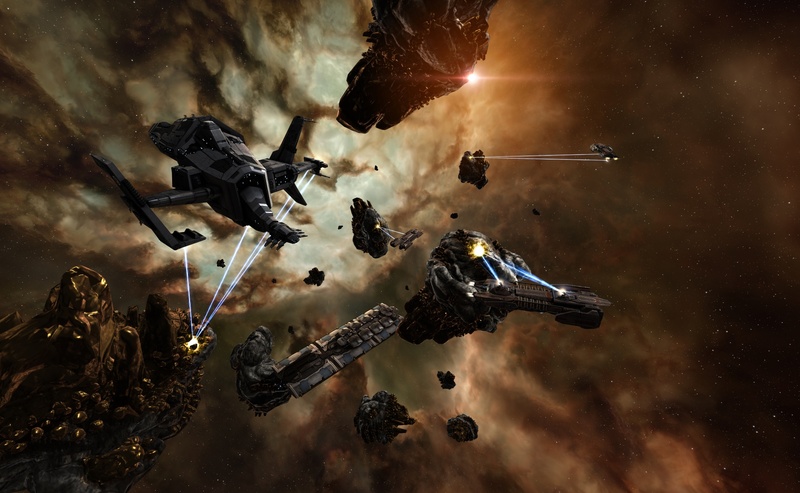 If you've ever been interested in EVE Online or if you were a prior player, now is actually a pretty interesting time to give the cutthroat space-trading MMO a chance.